There's not an awful lot to say about this one, a mid-1980s Bappi Lahiri effort sounding pretty much as one would expect. 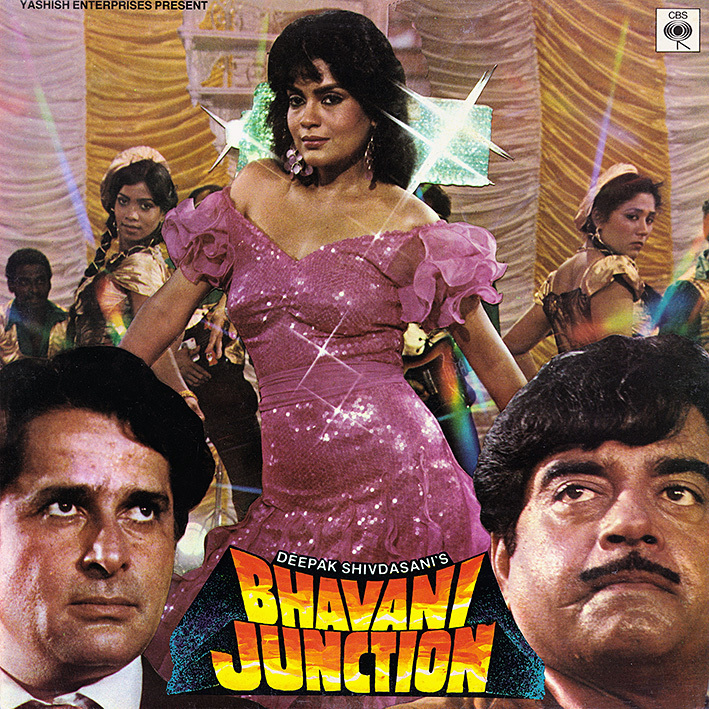 That's not to say it isn't any good, on the contrary, I'm quite fond of 'Bhavani Junction'. Bappi's trademark blend of upbeat (and synthetic, mostly) disco-funk, catchy melodies and general campness is evident throughout; 'Aaeeye Baahon Mein' especially is a fabulous take on 'Aie a Mwana', the Yamasuki/Black Blood/Bananarama hit originally written by French pop producers Jean Kluger and Daniel Vangarde. I prefer this version to any of the above. No, it's very rare that they all work unfortunately. But as a long as at least one does, it should be ok right? Thank you so much for the excellent rip. I don't think I have been able to fully appreciate the music to this soundtrack until I heard this version. Thank you! can anyone please send the zip file to rajhp2001@yahoo.com.thank you .